Vivitiv is in the creative phase of a new campaign for Terra Linda Consulting and the City of Bellevue to promote their EverGreen Gift Markets. 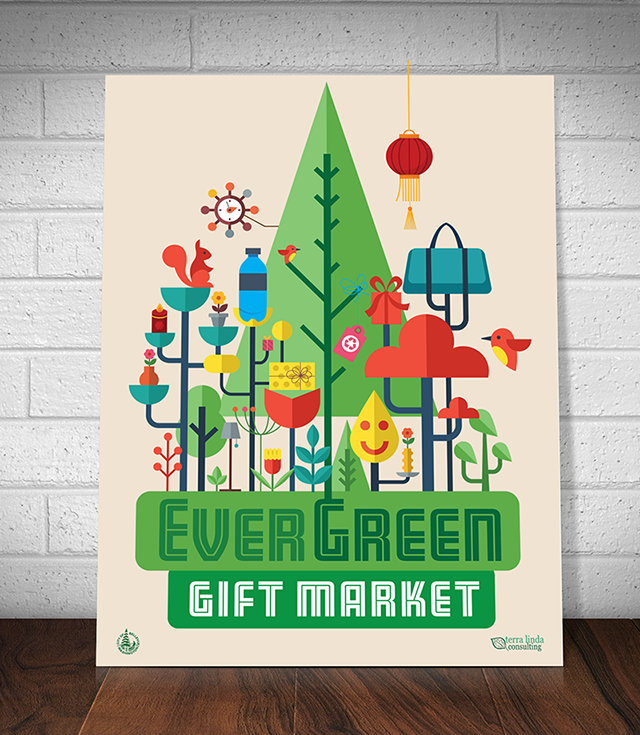 These sustainable gift markets are held throughout the year in Bellevue and Vancouver, WA. There is a summer outdoor market as well as a winter holiday version where you’ll find green, upcycled and locally made arts and crafts. The campaign consists of posters, direct mail, print and digital advertising, outdoor banners and directional signage. Buy upcycled! Buy local! Buy EverGreen!